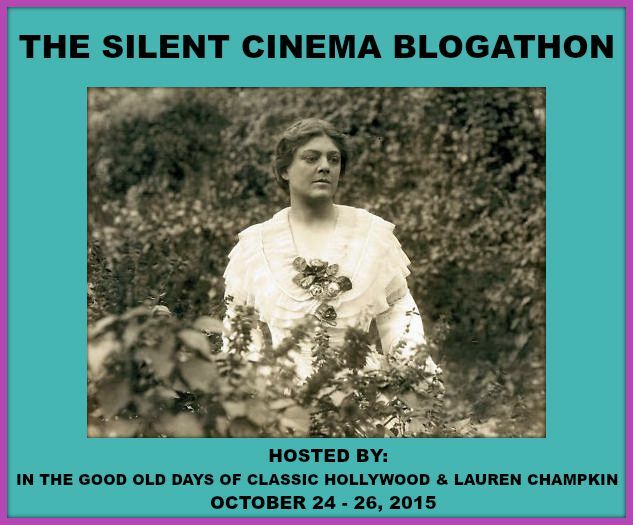 ANNOUNCING “THE SILENT CINEMA BLOGATHON” – In The Good Old Days Of Classic Hollywood. 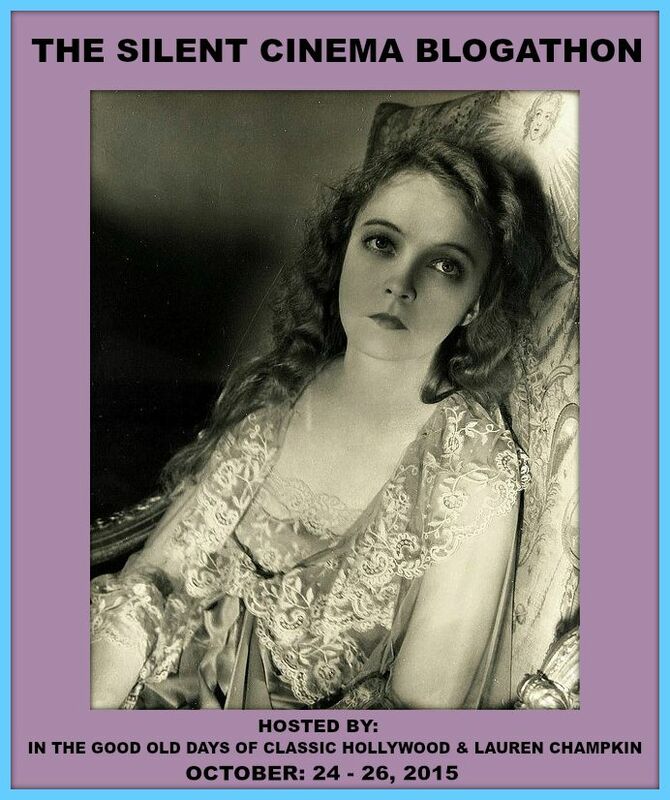 With the success of my two previous blogathons, I’ve decided to host another blogathon, this time dedicated to silent cinema, that magical bygone era before the birth of the talkies. 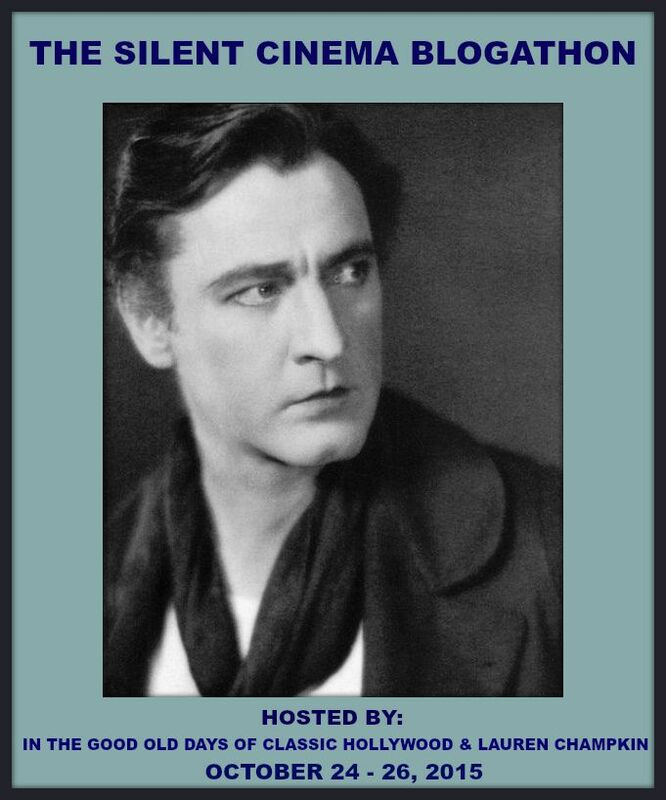 As the years have progressed, the silent age of cinema have become largely forgotten about today, so to pay tribute to those early days before sound, I’m hosting a blogathon in memory of the silent era and the stars that inhabited that period. Joining me as co-host is my great friend Lauren Champkin, a classic film enthusiast who is new to the world of blogging. 1. Feel free to write about any film, star of subject relating to silent cinema. The choice is yours. As long as the topic relates to any aspect of silent film or the stars that inhabited that period, it’s more than welcome. 2. 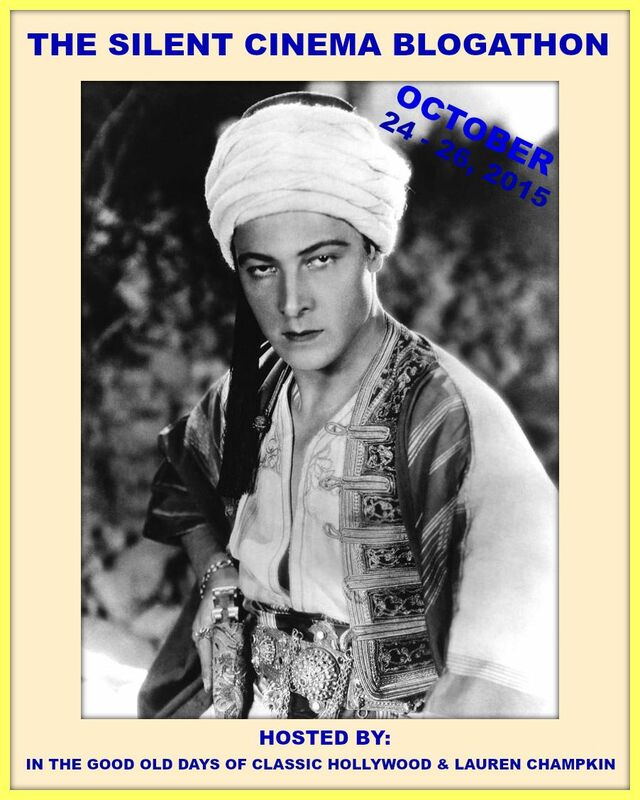 Since this is a silent cinema blogathon, I’m not allowing duplicates. There are plenty of films, stars or topics to go around. However if you would like to write more than one entry, that is more than welcome, but please no duplicates. 3. 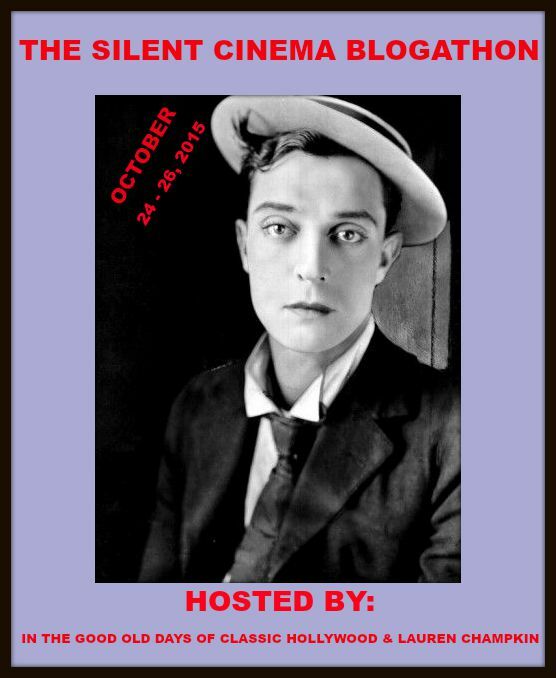 The blogathon runs from October 24th – 26th, 2015. I’m not allocating days to anyone, so just submit your entries on any day during the event. 4. 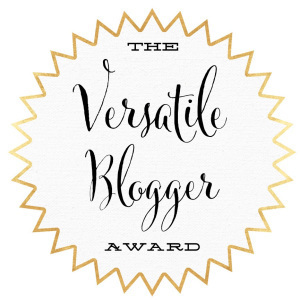 To express your interest in participating in the blogathon, leave a comment on my blog, along with the name and URL of your blog, and the subject you wish to cover, or you can always register by email at: carolelombardforever@yahoo.com. For those of you who wish to register by email, please be sure to include the name and URL of your blog, and the topic you wish to cover. Once you get confirmation, please spread the word about this blogathon by advertising the event on your blog. Below are a few banners, so grab yourself a banner, and let’s celebrate the magical world of silent cinema. This is Louis from the Cinematic Frontier (https://cinematicfrontier.wordpress.com/). I’d like to take a shot at D.W. Griffith’s Way Down East. Hi Louis. Excellent choice. Thanks for joining. So many choices, so few blogathons! Let me go with DUCK SOUP (1927), the first “official” teaming of Laurel & Hardy. Excellent choice. Love that film. Thanks for joining and I’ll check yours out right away. Please put me down for Asphalt (1929), a German pre-noir silent. I should have seen another blogathon coming! May I write about 1927’s It? Hi Le. Great choice. Thanks for joining. I’d love to do SUNRISE. Excellent choice Robin. Thanks for joining. This sounds like a lot of fun! I’d love to do The Italian Straw Hat (1928). Excellent choice. Thanks for joining. Hi there! So glad that I saw this :-D. I’d love to do the film “A Woman Of Paris” (1923). The name of my blog is Mother Time Musings and the URL is http://tammayauthor.com/index.php/blog/. Hi Tam. Great choice. Thanks so much for joining. Thank you for the confirmation. I’m looking forward to it! Well THIS blogathon is certainly up my alley! 🙂 Since I’ll be focusing on everything spooky in October (being a Halloween fan), I’d like to do a piece on the silent era careers of two icons of horror films: Boris Karloff and Bela Lugosi. Hi Lea. Wonderful topic. Thanks so much for joining. Hi, this is Dan from The Hitless Wonder Movie Blog. I’d like to write a post on Buster Keaton’s “Seven Chances”. Hi Dan. Excellent choice. Thanks for joining. May I do The Magician from 1926? Caftan Woman here, and I’d like to offer a piece on “3 Bad Men” (1926). Certainly. Great choice. Thanks for joining. Thank you! I have a crazy busy weekend coming up and did not want to miss the event! Hi Crystal. The Lauren Bacall Blogathon was great. If you have room for me, I’d like to do Roscoe Arbuckle and Buster Keaton in “The Bell Boy” (1918). Hi Joe. Thanks for taking part in the Lauren Bacall blogathon. You’re more than welcome to join the blogathon. Excellent choice. Thanks for joining. Hi Virginie. Excellent choice. Thanks for joining. And don’t forge to give my event a plug. Hey. I would much prefer a new blog article instead of one that has been previously published. You are more than welcome to participate though, so let me know if you wanted to do a new one? Ah, I love anything that gives me a reason to watch more silent cinema! I don’t make enough time for it otherwise. Could I take Wings (1927), please? Hi Paul. Wow, what an excellent topic. You always think up wonderful unique subjects. I’ll add you to the roster. Thanks for participating. Awesome! Our Hospitality (1923) for The Stop Button? Swell. Great choice. Thanks for joining. Sure . . Not a problem. Hi Amanda. What a wonderful unique topic. Thanks for joining. Hello, I’d like to join in with The Cabinet of Dr. Caligari and if I have enough time I might do Abel Gance’s La Roue too. Hi Michael. Excellent choice. Thanks for joining. Hi there, I know I’m quite new, but I would love to write about The Saphead (1920), if it isn’t already taken? I have made my decision and will write about one of my favorite silents, The Wind, from 1928, featuring Lillian Gish and Lars Hanson. Great, hugetheme for a blogathon! What if I should write about “Cabiria” (1914), the first blockbuster of Italian cinema, featuring Biblical themes, lavish sets, one of the most pretentious screenplays ever, and other assorted wonders? Put me down for Charlie Chaplin; A Look at the two versions of THE GOLD RUSH. Somebody is already doing “The Gold Rush”. Is there anything else you would like to do? Could I write about Sumurun (1920) ? This looks very interesting! I’d like to do The Unholy Three (1925). And thank for reading/commenting on my post and telling me about this blogathon. Thanks so much for the invite. I would like to review The Hands of Oralc (1928), for Cinematic Catharsis, http://cinematiccatharsis.blogspot.com/. O.K., finally made up my mind. 🙂 I’d like to cover Modern Times. Excellent choice. I was actually thinking the other day that “Modern Times” hasn’t been chosen yet. One of my faves. Thanks for joining. If I could, I would like to write on a Mr. Charlie Chaplin’s career and its subsequent American downfall because of the Red Scare. Maybe titled something along the lines of “Chaplin, You…Commie?” I promise to finish this one! Great idea. Interesting topic. I understand how you can not always finish things. It’s happened to me with blogathons that I’ve signed up for. Thanks for joining. You’re welcome and thanks for the understanding. Hi! I’d love to cover the 1920 film Der Golem. 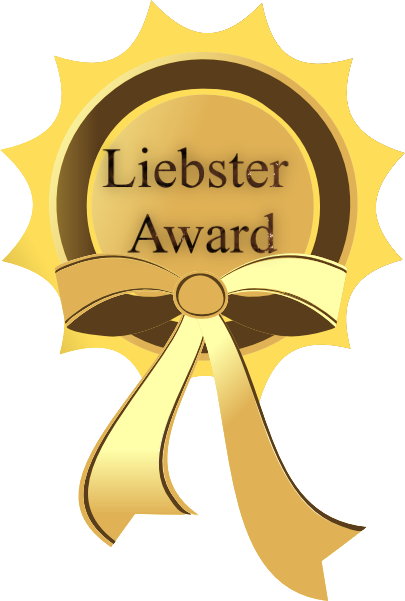 My blog is called Tales from the Border and can be found at http://talesfromtheborder.com/ Many thanks for the consideration! Hi. Excellent choice. Thanks so much for joining. Sorry I’m so late to this, but please could I write about a (pretty obscure) French silent short from 1923 called La Souriante Madame Beudet? Thank you and so looking forward to contributing! No problems. Sorry I’ve only just seen this comment myself. Great choice. Thanks for joining. Ill also do Sherlock Jr. (1924) also Lloyd If I have time, maybe I’ll do one or two more. I’ve got you down for them two at the moment. Let me know if you want to do the others, and I’ll update. Both excellent choices. Thanks for joining. I haven’t been on Facebook that much, so I haven’t seen your message, but will reply when I get on. College is an excellent choice, and you can’t go wrong with Buster. I’ll update the roster. Sure. Absolutely not a problem. Hi there! I’m SO sorry but some stuff unexpectedly came up this weekend, and I wasn’t able to get onto my entry. I may be able to get something up tomorrow, but most likely I’ll miss the deadline. Apologies! I wanted to participate in this but the only two silent films I have seen were snapped up before I knew about it and I haven’t watched any since then. Looking forward to reading all the entries though! Good luck! Hi, I’m SO sorry, but I have to drop out. We just moved and I still haven’t even set up my computer. I didn’t have a set moving date when I signed up. Again, my deep apologies. Hi Debbie. That’s not a problem. I can understand that you sometimes can’t participate at the last minute due to moving or other unforeseen circumstances. Very last minute, wasn’t sure if I’d be able to join in, but I’m going to do Garbo in A Woman of Affairs (1928). Hope that’s OK – will let you know when it is up. Hey – where do you want us to send the links for our blog posts? Hi Andrew. Just post the links under comments on the announcement page. Thanks so much for participating, and I look forward to reading your entry. Crystal, our apologies!! For some reason we thought the blogathon was running from the 27th-29th! We linked our Beau Geste post to your homepage anyway……so sorry to have missed the date completely. That’s the first time we ever did that. We’ll be paying closer attention to dates from now on. Hi Constance. Absolutely not a problem. I’ve done that a lot so I totally understand. Anyway thanks for participating and I’ll add it to the roster.